Surrounded by these ornate and fanciful carved crowns, every little girl will feel like a princess. 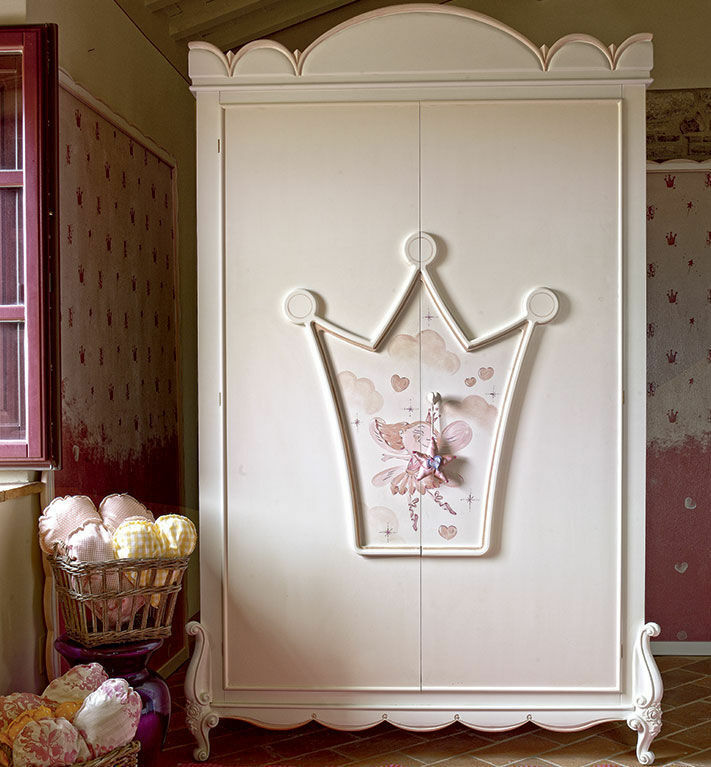 A fantastic world where multiple elements reproducing crown and pink motifs prevail, with a rich offer of accessories and decorations, i.e. blackboards, clocks and side pockets.